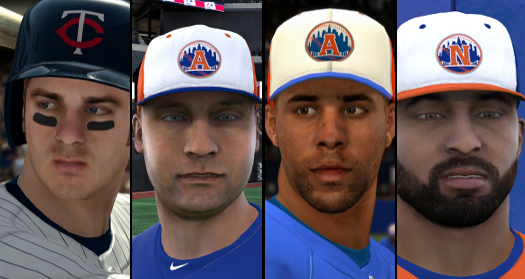 With plenty of time having passed to vote on the player faces in the 2013 editions of the MLB games here are the results. Over 73K total votes were collected through the process and the results were definitive to say the least. While 2K Sports has at least put up a fight in the three years prior, coming out on top 30% of the time, this battle proved to be a far greater mismatch. MLB 13: The Show won 35 of the 40 over MLB 2K13. Most of the pairings were routs with The Show taking 26 of them by 80%+ and 8 of them being at or above 95%. The tightest race was with 2K13 cover-man David Price who just barely edged out the win for the company he represents. Clayton Kershaw and Justin Verlander, who also have relationships with 2K, were among the few others who won for that side. The only semi-surprise comes with Buster Posey who was deemed better in 2K despite his ties to SCEA.